Prestigious works of art by Pietro Vannucci called Il Perugino (1480-1523) are gathered for an exhibition set up around the Last Supper, a fresco preserved in the ‘Cenacolo del Fuligno’ in Florence. This work of art (1480-1485) dominates the end wall of the monumental refectory of the former convent and is the linchpin of the exhibition, which is an anthology of Perugino’s work in Florence. Qualities and fortune of a style. Around the Last Supper another 53 works of art are on display. They come from Italian collections (Uffizi, Palazzo Pitti, Museo di Santa Croce, Collezione Cassa di Risparmio di Firenze, Galleria Colonna, Palazzo Barberini, and Galleria Nazionale dell’Umbria) as well as from foreign institutions (British Museum, Fitzwilliam of Cambridge, Art Museum of Cleveland, and the Kupferstich-Kabinett of Berlin). Among them are also a Madonna and Baby Jesus from the ‘Galleria di Capodimonte’ of Naples, a drawing of Judas and St. Bartholomew from the British Museum, the Apostles from the Kupferstich-Kabinett of Berlin, and the Deposition of Christ, a detached fresco owned by the Florentine bank ‘Cassa di Risparmio di Firenze’. The exhibition, with curator Rosanna Caterina Proto Pisani, is open from October 8th 2005 to January 8th 2006. The wide hall of the Cenacolo di Fuligno was once the monumental refectory of the former Florentine convent of the Tertiary Franciscan Sisters of St. Onuphrius, called ‘di Fuligno’, and is dominated by an imposing fresco on the end wall, portraying the Last Supper and painted by Pietro Perugino. The discovery in 1845 of the frescoed wall and the initial striking attribution to Raphael caused such an uproar that the Grand Duke was forced to buy back the halls of the complex, which he had sold a few years before to private owners. Since then, the Cenacolo has lived an autonomous life, parallel to that of the rest of the complex, and the premises have been turned into a museum: firstly it was home to the Archeological Museum, later Storage Area of the Feroni Collection, then refuge of works of art damaged during the flooding in Florence, and last Storage Area of detached frescoes and works of art of the adjacent Academy of Music. 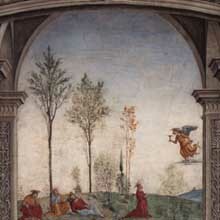 One of the aspects of Perugino’s art highlighted by the exhibition is that, beyond the Romantic interpretation that depicted him as a devout and mystic painter, as an artist he was perfectly integrated into the environment of his times and involved in the management of thriving workshops in Florence and Perugia. The exhibition also delves into his important role in relation to both the Tuscan tradition in paintings and frescoes and the exclusively Florentine iconography of Last Supper depictions in convent refectories. Perugino was a faithful heir of the secrets of Florentine workshops, but he also introduced new ideas and suggestions, which were soon drawn on by other Florentine artists. The entrance to the Cenacolo hosts a didactic introduction with panels that describe “Perugino’s trails” in Florence, showing the location of his several works of art scattered throughout the city and referring visitors to the churches and museums where they can be seen. The hall of the Refectory hosts a selection of pieces by Perugino’s pupils, who worked in the workshops of Perugia and Florence and a series of autographic works (paintings, frescoes, drawings, and engravings) directly related to the fresco. There is also a conspicuous number of paintings inspired by Perugino’s style from all over Tuscany, particularly from Florence, but also from other Italian regions. These testify the far-reaching spread of Perugino’s artistic language, which created a true stylistic koinè in Italian painting, further proof of the important role he played between the late 15th century and the early years of the following century. Pietro Vannucci called "il Perugino" is considered one of the major figures in Humanism and the greatest herald of 15th-century Umbrian painting. In his art, as well as in that of other Umbrian painters, there is a religious intimacy directly related to the region’s deep spirituality: the sweet landscapes of Lake Trasimeno and of the valley of Foligno, covered in forests and dotted with many castles, provide a gentle backdrop to his works. Perugino is often linked to Leonardo da Vinci, with whom he had a certain artistic and intellectual affinity, and to Sandro Botticelli, with whom he collaborated in the decoration of the Sistine Chapel. The historical background of his artistic life was the late Humanism. 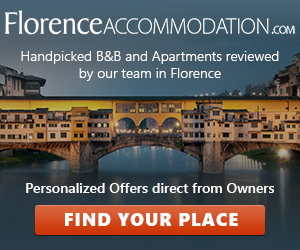 In fact, he was born in 1450 AD in Città della Pieve, but he soon moved to Tuscany. First, he lived in Lucca, then in Florence, where he started to attend Andrea del Verrocchio’s prestigious workshop. Florence played a crucial role in Perugino’s artistic education, so much so that his contemporaries actually considered him a Florentine master by adoption. Among the characteristic features of Perugino’s art are the awareness of the landscape and the conquest of the atmospheric space, partially due to the collaboration with his fellow student Leonardo. His early documented works date back to 1478, the year in which he frescoed the Church of Cerqueto, not far from Perugia, and painted the Adoration of the Magi, now at the National Gallery of Umbria in Perugia. 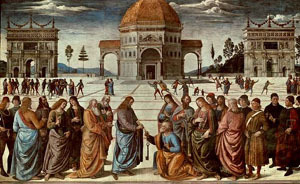 He reached his artistic maturity with the decoration of the Sistine Chapel, a majestic feat which involved all the greatest artists of late Humanism, such as Cosimo Rosselli, Botticelli, and Ghirlandaio. Here he created his masterpiece, Christ giving the Keys to Saint Peter, in which a vast space framed by architectural reference points, inspired by the experience of Piero della Francesca, is the background of theatrically balanced figures, reminiscent of Verrocchio’s characters.